Sony has officially announced the UK launch of the new X-Series Walkman this week, the first to feature a touchscreen display, OLED screen and the built in digital noise-cancelling technology. Sony claims that the X-Series is like "having a cinema that fits neatly into any pocket, perfect for when commuting or out and about." Want to check it out for yourself? Sony has transformed a London Underground tube carriage into a luxury cinema, complete with red velvet chairs, pop corn machines and pick 'n mix. If you fancy checking out Sony's 'Tube Cinema' this Wednesday 13 May, email xseries@borkowski.co.uk to nab a place on board. Just don't wear your iPod! Featuring the latest Sony audio and video technology, the X-Series is the perfect choice for anyone who's serious about enjoying their music, videos or photos on the move. The slim, compact and beautifully styled X series fits easily into your pocket, meaning you can carry your very own mini-cinema with you at all times. T3.com was charmed and beguiled by the X-Series in its fully detailed review, singing the praises of the device's crystal clear sound quality, its 3-inch widescreen OLED touchscreen, Digital Noise Cancelling feature and S-master Digital Amplifier tech that offers ultra-low distortion sound. The Wi-Fi capability also lets you browse the Internet and view content from BBC iPlayer and YouTube on the go. 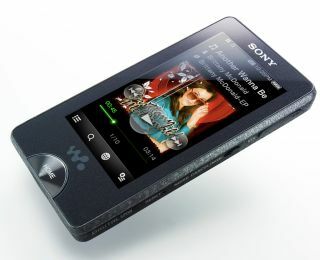 The X-Series is available for pre-order now priced at £209.00 (16GB) or £279.00 (32GB) through www.sonystyle.co.uk and launches 13 May.